Samsung has launched a new variant of the Galaxy A8s in China. 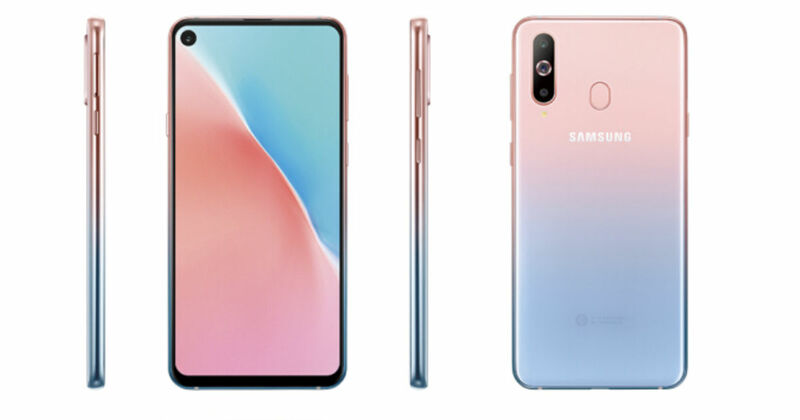 Dubbed the Unicorn edition, the smartphone is exactly same as the Galaxy A8s as far as the specs are concerned, but comes in two new gradient colours — pink yellow and pink blue. Launched just a couple of days ahead of Valentine’s Day, the South Korean giant aims to catch the attention of Chinese women with these two colour options. Apart from the new hues, the Galaxy A8s Unicorn edition also comes with a “magic mirror” feature, which allows the user to use the display as a mirror by activating the feature from the Bixby button. To recap, the Samsung Galaxy A8s is the brand’s first smartphone with a punch-hole display. The handset sports a 6.4-inch Infinity-O display with a full HD+ resolution and 19.5:9 aspect ratio. Under the hood, the handset is powered by the Qualcomm Snapdragon 710 Soc and Adreno 616 GPU, which is coupled with 6GB / 8GB of RAM. For storage, the phone comes with 128GB of internal storage, which is expandable up to 512GB via a microSD card. In terms of optics, the smartphone carries a triple-lens setup on the back, comprising a 24MP primary sensor, a 10MP telephoto sensor with 2X optical zoom and 5MP depth sensor. For selfies, the A8s makes use of a 24MP lens with f/2.0 aperture. Samsung’s Galaxy A8s Unicorn edition runs Android 9.0 Pie out of the box. The phone sips juice from a 3,400mAh battery with support for 18W fast charging. Its other features include a rear-mounted fingerprint reader, USB Type-C port, Bluetooth 5.0 and dual-band Wi-Fi. The Galaxy A8s has been priced at 2,799 RMB (~Rs 29,000) for the base variant with 6GB RAM.